The stripe design is timeless and such a great all rounder! From bold verticals to elegant lines, the stripe is both classic as contemporary. 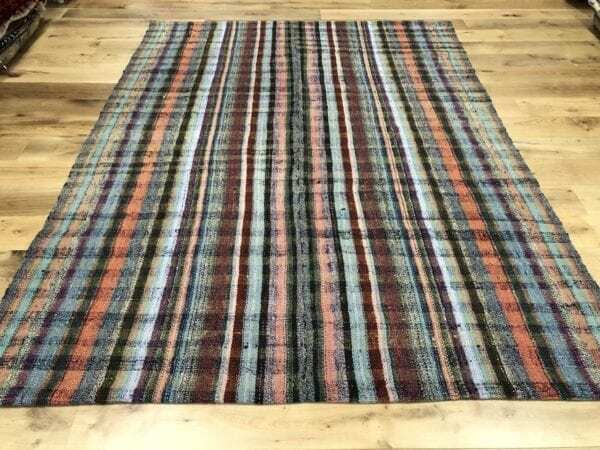 In our Caput Collection you find striped vintage kilims, yet with a very contemporary look and feel. With their beautiful colours they are most certainly fun! Hence they make great children’s rugs or playroom carpets. 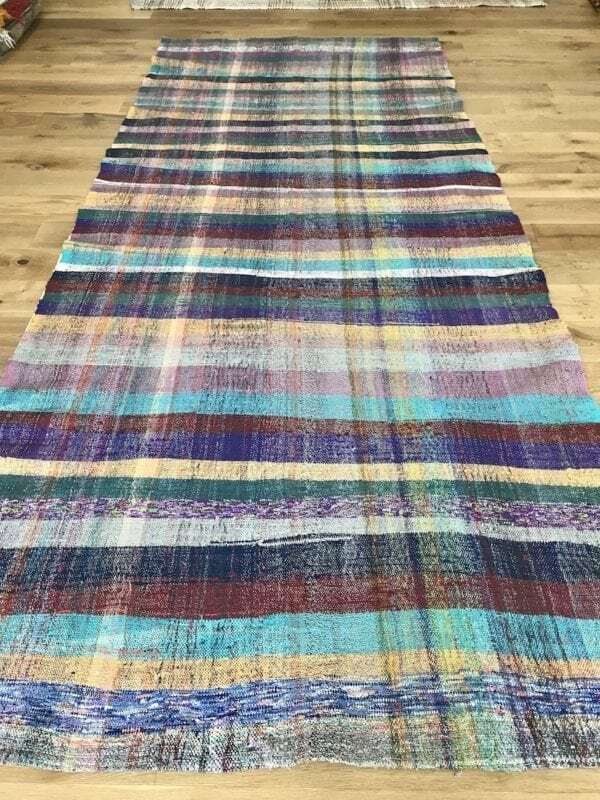 From blue tones for boys to soft rainbow striped rugs for a girls, these kilims add a playfull twist to that special room. 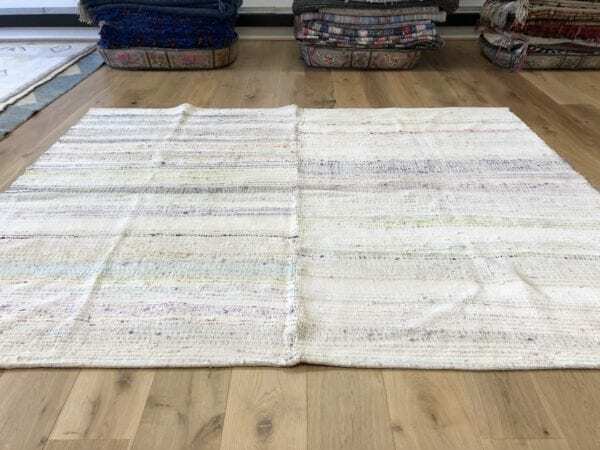 As they are easy to maintain, a Caput kilim also makes a great kitchen rug. Made from mixed fibres of cotton and goat hair, these flatweaves have a slight rough feel to them. They are durable and hardwearing and can be layered out on top of each other to cover a larger area. Also, for special sizes, these kilims can be adjusted to your requested size! Pls do get in touch! 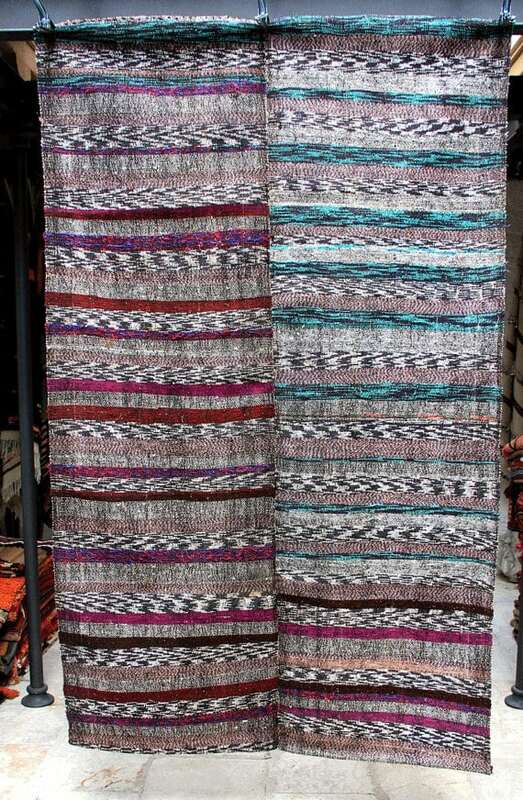 These tribal rugs are lightweight kilims that are great on any floor. Yet maybe even better they work as curtain, wallhanging, throw, bedcover, tablecloth or upholstery fabric. 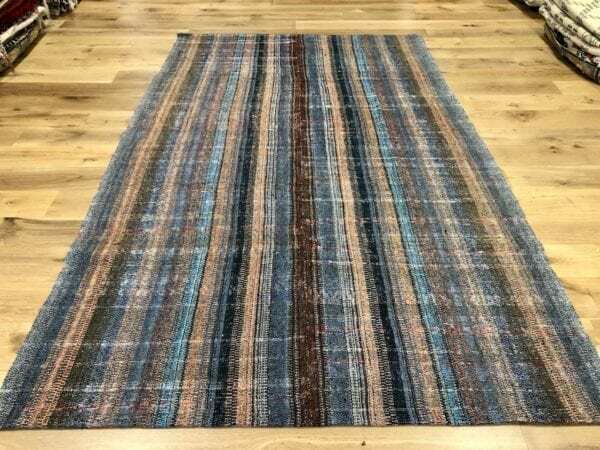 Made of premium materials, perde kilims are very durable and hardwearing. 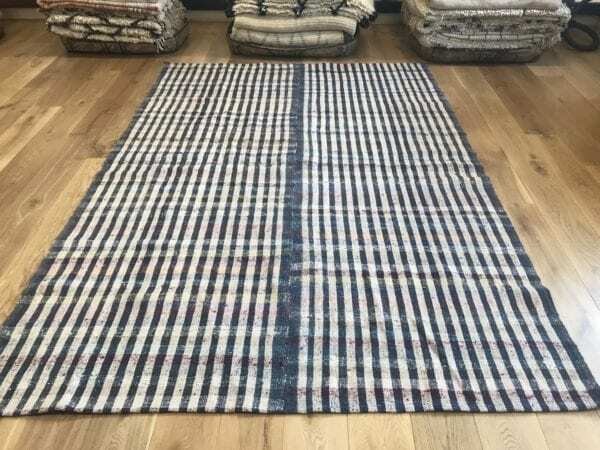 These large kilims consist of handwoven narrow strips, stitched together on the sides to make a larger piece. With their rich striped look , these fabrics are colourful yet elegant.